To be straight with you, I had to really plumb the depths of my critical mind to scrounge up those dings. They are problems, don't get me wrong. They just can't come close to dimming the pleasure of this fast, fluid experience. 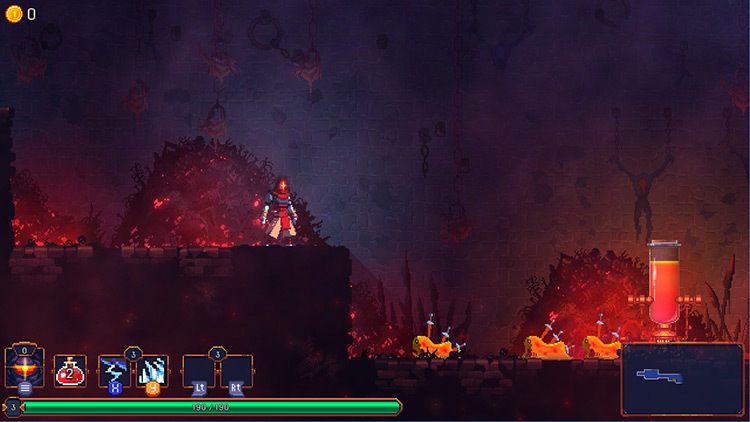 Dead Cells may be the most fun I've had in a game all year. Even so, perseverance has its rewards. 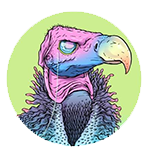 With experience comes knowledge of which weapons and encounters to prioritise, which routes to take, and how to get back to those tricky boss battles faster. 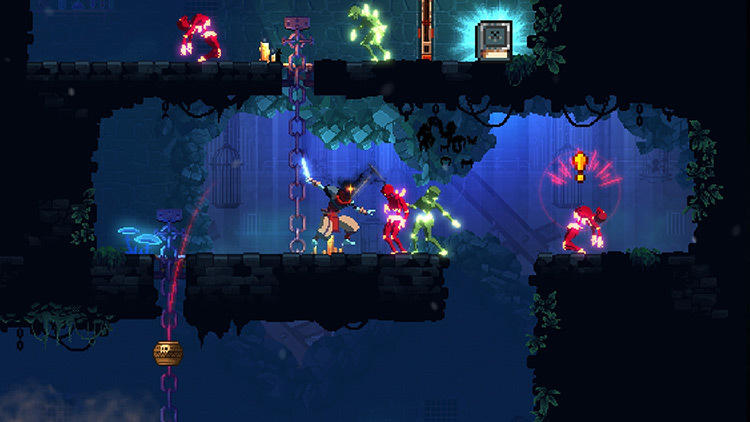 When it all starts to come together, frustration fades and your love affair with Dead Cells' phenomenal fundamentals can start all over again. 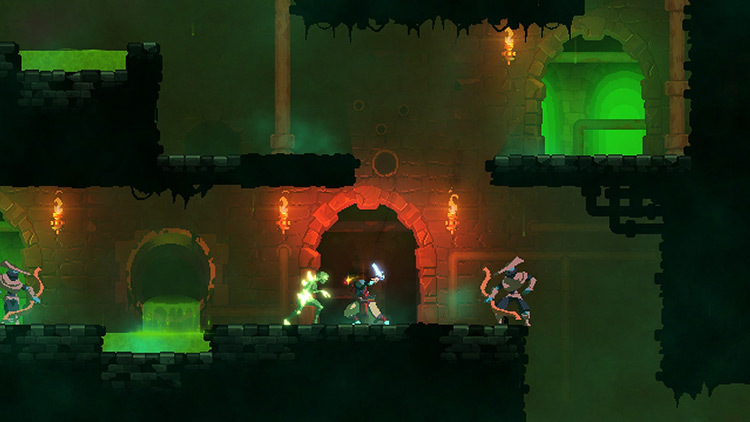 Truly, Dead Cells is a game about being the undying assassin you’ve seen in a few horror/thriller movies. You will not relent, you will not stop until you’ve slain your quarry. Big or small, these foes are all prey. 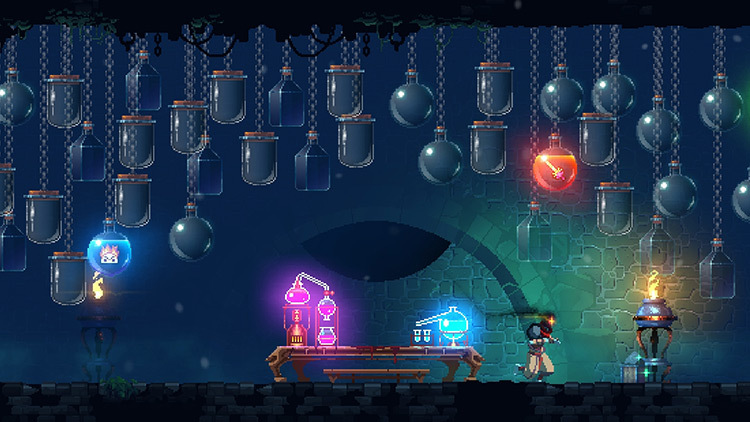 With every run, every death, every hit you can feel yourself learn while using Cells between levels to improve your odds in whichever way possible. 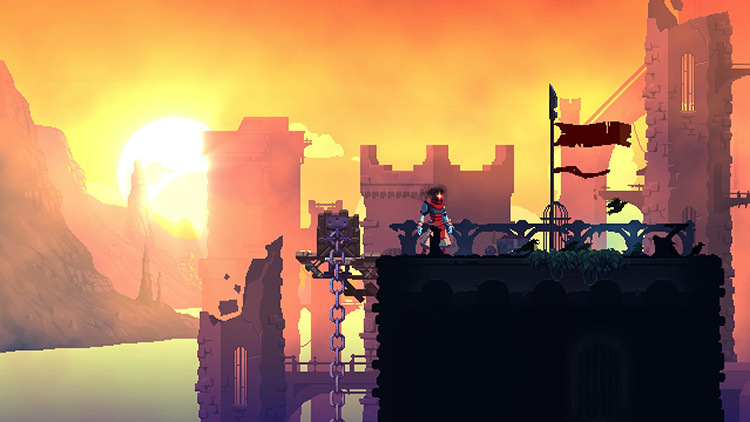 Los fallos se castigan con una dureza terrible, ¡puede ser dramático!, pero Dead Cells es tan intenso y emocionante en su acción que poco importa morir una y otra vez, caer en combate y perder todas las armas y tesoros acumulados hasta el momento. Esta aventura RogueVania combina lo mejor de los clásicos Castlevania con la esencia de los roguelike, y lo hace con una elegancia envidiable, con un gran apartado visual y frenético sistema de combate que te hace disfrutar como pocos juegos consiguen. Es kann sich zum Beispiel lohnen, einen eigentlich schwachen Nahkampfangriff zu nutzen, der dafür die Gegner kurz einfriert - was uns Zeit verschafft, wieder auf Distanz zu gehen und den Bogen einzusetzen. Generell motiviert uns das Spiel mit den geringen Abklingzeiten der Spezialwaffen diese auch ständig zu nutzen, was die Kämpfe angenehm abwechslungsreich macht. 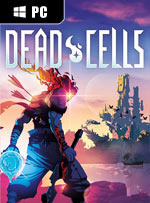 Dead Cells è un titolo eccellente che vi consigliamo senza remore, soprattutto se vi piacciono i metroidvania e i roguelike. 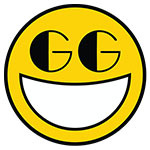 Ha come unico difetto i pochi boss, ma per il resto riesce davvero a catturare e a farsi rigiocare più volte fino a che non si sono sbloccati tutti gli oggetti e non si conosco a menadito tutti i segreti di cui è letteralmente infarcito.